Is it good idea to know your blood type? « Howard J. Bennett - Pediatrician and Author in Washington, D.C.
Is it good idea to know your blood type? The most common blood test doctors order is a CBC, which stands for complete blood count. The test provides information about a person’s red blood cells, white blood cells and platelets. We get CBCs for different reasons, but the two most common are to check for anemia (red blood cells) and infection (white blood cells). Lots of patients ask me what their blood type is. When I tell them this information isn’t important on a day-to-day basis, they often say, “Wouldn’t it helpful if I needed a blood transfusion?” The answer is no. The basic blood groups that everyone knows about are A, B, AB and O. In addition, blood can be “positive” or “negative.” These designations refer to markers in blood that allow your body to recognize itself. Except for people with AB positive blood, everyone has naturally occurring antibodies to blood types other than their own. Getting transfused with mismatched blood can result in serious or even fatal reactions. What people don’t know is that we have also minor blood groups in our system. Without getting into details, this basically means that not all A positive blood is the same. Although minor blood group incompatibilities don’t usually cause serious reactions, they can lead to mild transfusion reactions, which should be avoided. “Typing the patient” means finding out what type blood he has. “Crossing the patient” means cross-matching his blood with similar blood types available in the blood bank. 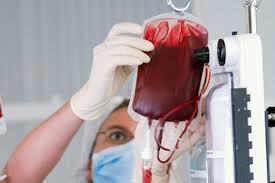 That way, the patient will get the most similar A positive blood on hand, including the minor groups. This entry was posted in Dr. B's Blog. Looking for longer pediatric articles? The information in my blog is for educational purposes only. For specific medical advice about diagnoses and treatment, please consult your doctor. What are the incubation periods of some common childhood illnesses? Blog Content © 2012 - 2014 by Howard J. Bennett. All Rights Reserved.